The New York Times article on the difficulties faced by people trying to stop taking antidepressant medication has again highlighted the need to talk honestly and openly about our mental health. And that means challenging some traditional ideas; including the ideas that mental health problems are best thought of as ‘illnesses’, diagnosed in the same way as we diagnose physical illnesses, and that medication is the best (or only) way to help. It’s hardly surprising that the routes to happiness – and misery – are complex and individual. We know from personal experience and empirical research that a huge range of factors influence our mood and motivation, and in very convoluted ways. We know, for instance, that people are affected by the things that happen to them, whether that’s childhood trauma or life events in later life. That’s why a comprehensive approach to mental health has to involve protecting children against abuse and bullying, but also has to extend as far as our economic policy – when the banks fail and businesses fold, when people lose their jobs – it directly affects our mental health. 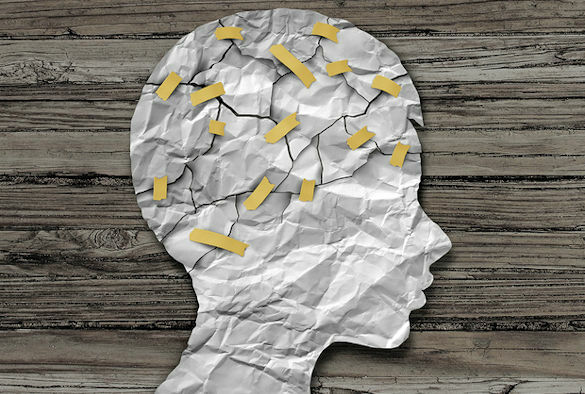 But psychological research, including here at the University of Liverpool, also reveals how these kinds of events, especially in childhood, can set us up for future mental health problems. We learn how to make sense of the world, and how to appraise and respond to future threats, on the basis of the things that happen to us. This means that our individual ways of responding to life’s challenges are unique – but understandable. In this way of looking at mental health, it doesn’t make so much sense to think about the aetiology and treatment of ‘disorders’. Instead, I believe it’s much more scientific (and humane) to think about how our upbringing and experiences in life have shaped how we make sense of ourselves, our goals, our relationships with other people and the outside world. From that perspective, the finding that people are distressed if they feel they are falling short of their goals in life (whatever they are) makes perfect sense. But… it’s only one of the complicated mechanisms whereby our psychological mechanisms for appraising and evaluating the world and ourselves can affect our mental health. These are the issues I’ve been researching all my academic life, and have formed the basis of my published work and are the ideas we explore in our free online courses. We’re currently looking at the different factors that contribute to our mental health, our happiness, and to the onset of mental health problems, in a major online study and a free, online course will be launched on 24th April, exploring the theory behind psychiatric diagnosis, and the benefits and possible negative consequences of thinking about our mental health in this way.